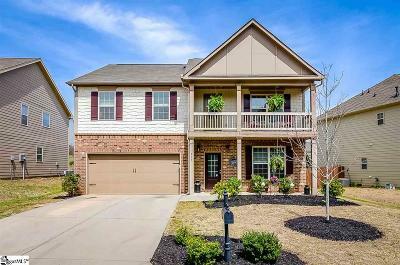 You will not want to miss this home in the Landing at Savannah Pointe, located in the vibrant Five Forks area of Simpsonville. 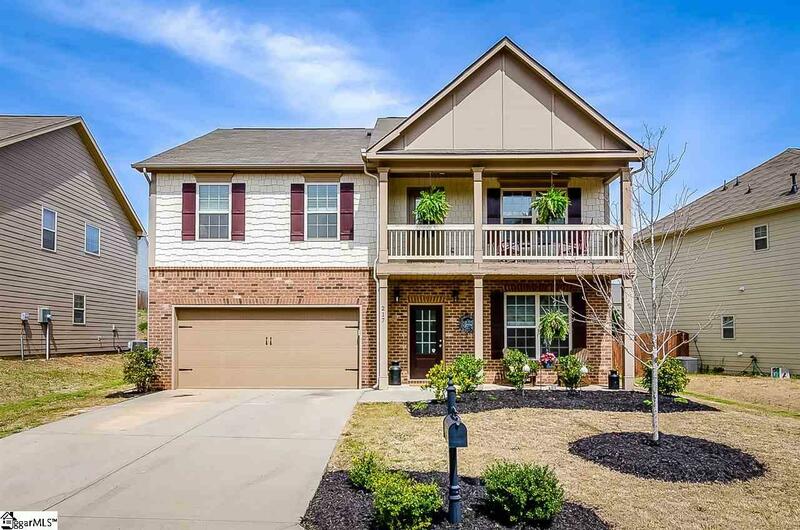 This attractive 4 bedroom 2.5 bath home features an open floor plan and high ceilings. Enjoy entertaining your guest in the flexible living & dining room area with crown molding, wainscoting and hardwood floors. The spacious kitchen features granite counters, stainless appliances and a convenient island. The breakfast room is open to a cozy den with gas fireplace. Hardwood floors downstairs, except in the den. French doors lead into the privacy-fenced backyard with a large stamped concrete patio. Upstairs you will find a large master suite with sitting room that opens to the second level front porch, a perfect spot for relaxing or reading on a cool evening. Master bath with his & hers sinks, a garden tub with stone tile accents and nice walk-in closet. Three other ample bedrooms, laundry and a playroom on this level. The outside of this home is made of James Hardie color-plus siding, brick and shake.Low E double pane, energy rated windows help keep those utility bills low. The neighborhood has a community pool, cabana , sidewalks and playground. Easy access to Pelham Rd., Woodruff Rd. shopping , I-85 , GSP and the Mesa Soccar Complex. Make and appointment to see this home today.